The latest happenings in transportation, air, and water quality from your metropolitan planning organization. 2018 has been an exciting and activity-filled year for NOACA, as the agency celebrates 50 years of planning and service to Northeast Ohio. 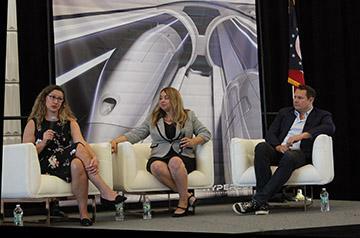 We were delighted to welcome many stakeholders and friends at our sold-out City Club of Cleveland event in April, “Reflecting on the Past, Forging the Future.” We then focused on the future of transportation at the agency’s Annual Meeting held September 14. As part of our 2018 activities, NOACA has retooled this newsletter, NOACA Connection . The newsletter is more concise, visual, easier to read on a tablet or smartphone, and hopefully more relevant. NOACA will continue to celebrate its golden anniversary through the end of 2018. Scroll down further to find out about our next transportation-themed event. More than 330 people attending NOACA’s annual meeting learned about Northeast Ohio’s transportation of the future: the hyperloop! If you missed the meeting, you can revisit it through video and photos. A 50th anniversary celebration event! Join NOACA at the Cedar Lee Theatre on November 26 at 7 p.m. for a private screening of Divided Highways , which depicts the history of the the Eisenhower Interstate Highway System and the positive and negative effects it had on the country it connected. The screening also features an animated short film, “It's the Greatest Little City,” by Howard R. Maier, NOACA’s retired executive director. 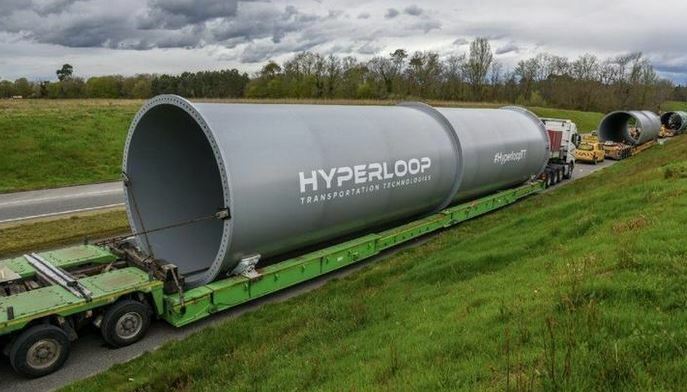 NOACA's Board of Director s awarded a $550,000 contract t o Transportation Economics & Management Systems, Inc. (TEMS) to conduct the Great Lakes Hyperloop Feasibility Study. 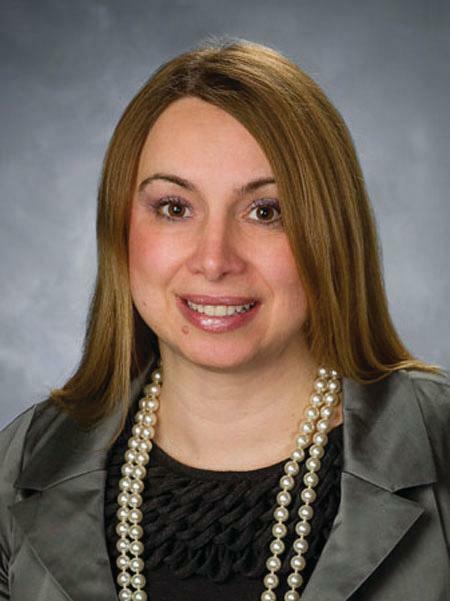 In State Fiscal Year 2018, NOACA committed $62.6 million to transportation improvement projects in its five-county region. The graphic below summarizes the types of investments that NOACA supported this past fiscal year. 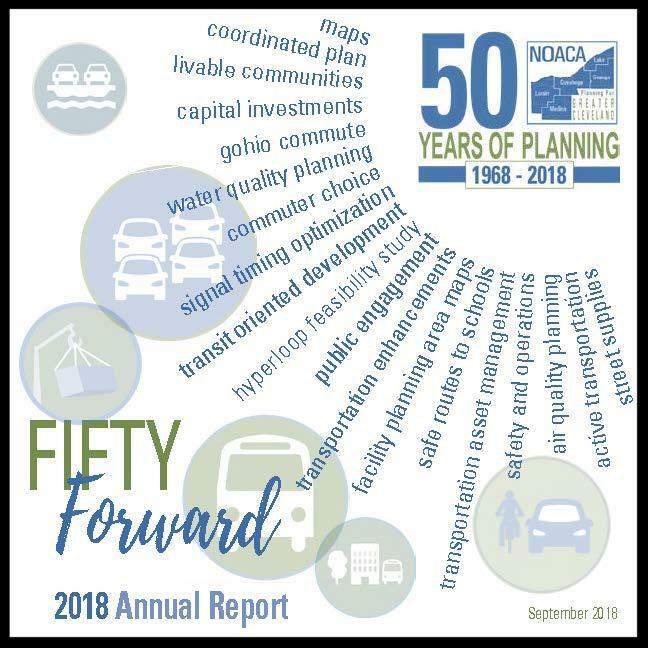 NOACA’s 2018 Annual Report, Fifty Forward , is now available online. This special edition report highlights NOACA’s accomplishments in 2018 and presents a visual timeline of NOACA history from 1968 to the present. Congratulations to Century Cycles, winner of NOACA’s 2018 Gold Commuter Choice Award. 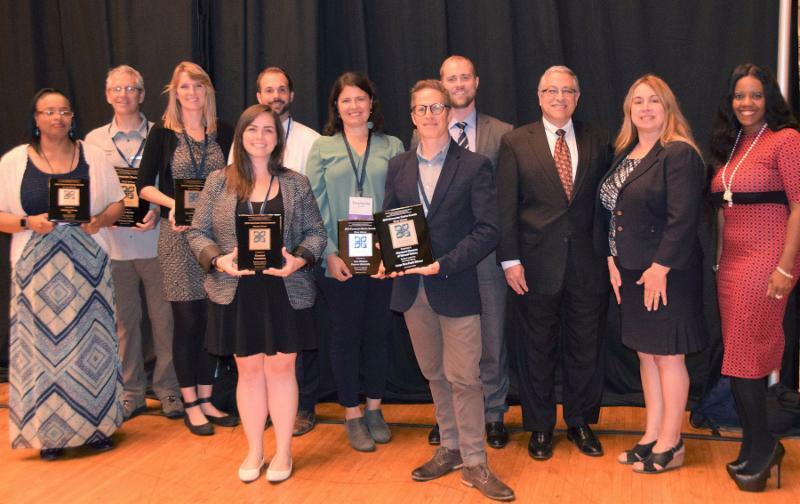 NOACA, in partnership with Sustainable Cleveland and Greater Cleveland RTA, annually presents Commuter Choice Awards to organizations that actively promote environmentally-friendly commute alternatives for their employees. 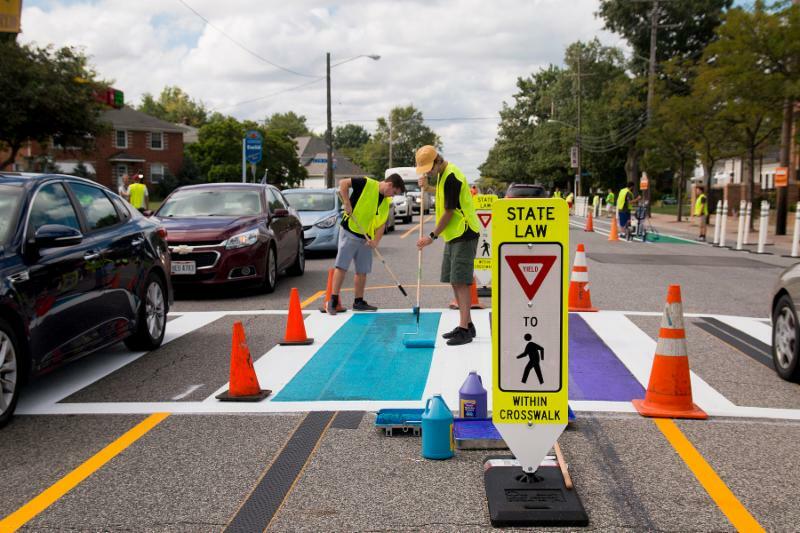 Last month, the City of Euclid temporarily changed traffic flow and pedestrian/bicycle amenities on Lakeshore Boulevard by painting crosswalks, adding bike lanes and converting parking spaces into parklets. 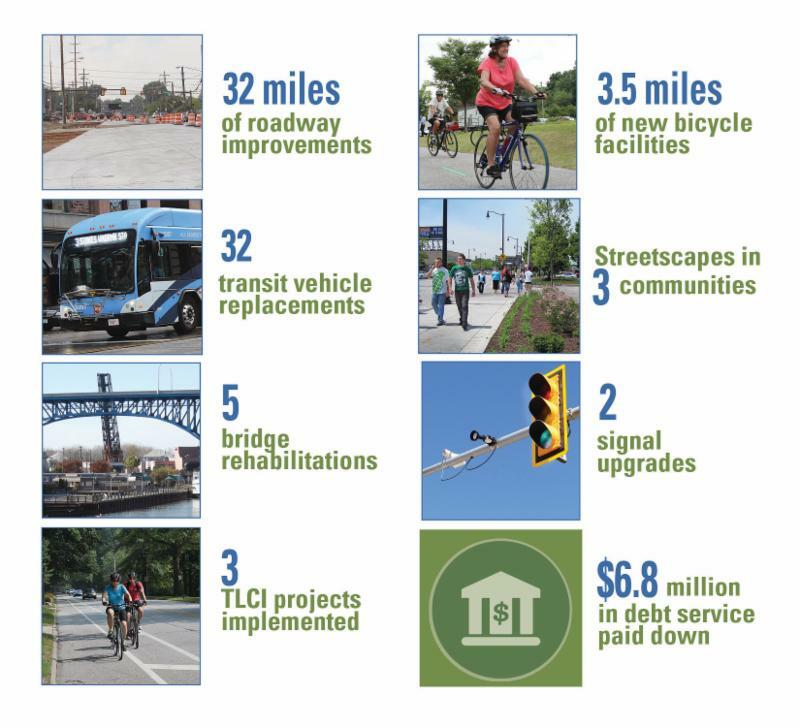 These changes were made possible through NOACA’s Street Supplies transportation demonstration materials library. Any community in the NOACA region can design a temporary traffic improvement using Street Supplies! With a total of 22 90-degree days in 2018 – more than double the average for Northeast Ohio – Cleveland experienced a hot summer. 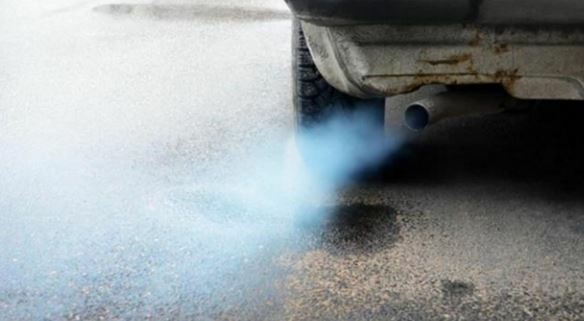 On steamy, windless days, vehicle emissions create ground-level ozone, a harmful pollutant that aggravates asthma and other respiratory diseases. NOACA issues Air Quality Advisories when weather conditions are conducive for ozone creation. You can help reduce harmful emissions and improve air quality by carpooling, biking, walking or taking transit to work. 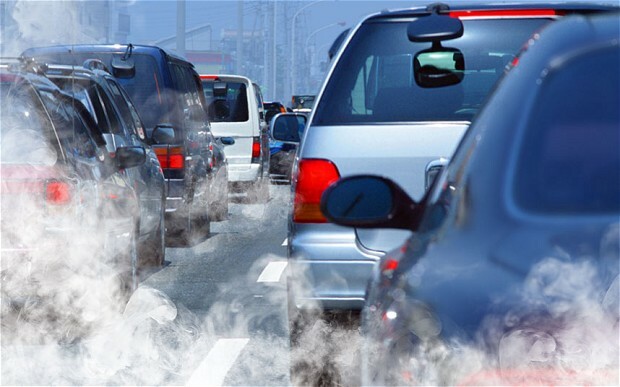 Are you concerned about Northeast Ohio’s air quality issues and their impact on public health? Join a discussion about local strategies to address air quality and public health tomorrow, October 30. 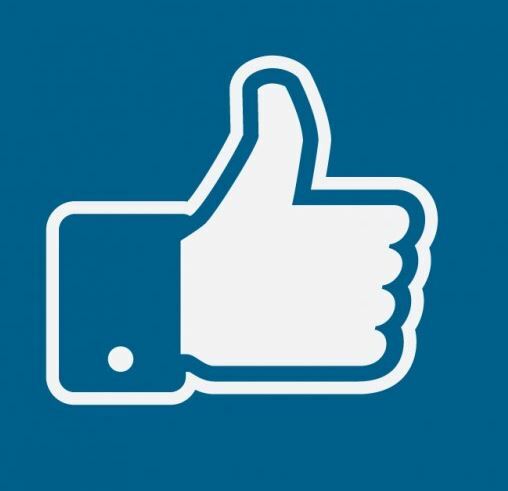 NOACA social media has achieved two significant milestones – 1000 “Likes” on Facebook and 2500 followers on Twitter! Thanks to all of you who read and share NOACA news, events and achievements. 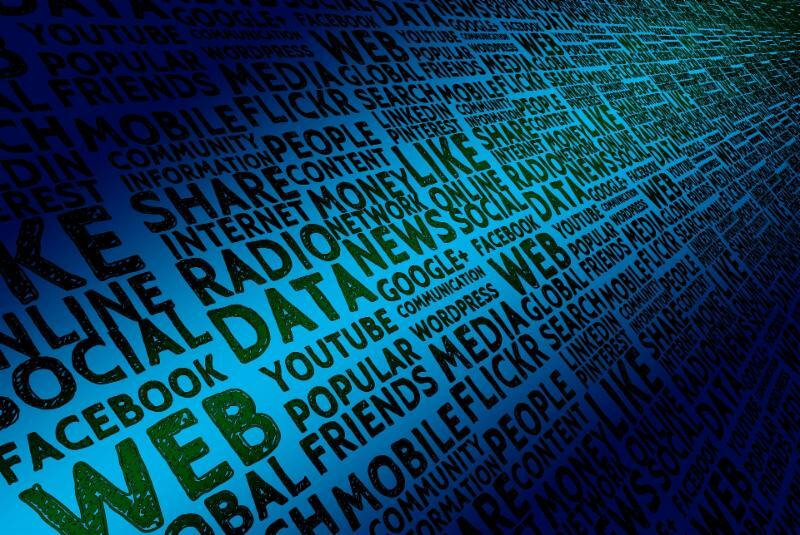 Keep the conversation going! Lake Shore Boulevard in Euclid redesigned with paint – How will motorists react? Friday, November 9, 8:30 - 10 a.m.
Friday, November 9, 10 - 11:30 a.m.
Friday, November 9, 11:30 a.m. - 1 p.m.
Wednesday, November 14, 3 - 4 p.m.
Friday, November 16, 9 - 10:30 a.m.
Friday, November 16, 1 p.m. - 2:30 p.m.
NOACA Connection is published quarterly.